From Wandsworth Town Station cross the road and turn left under the railway. Bramford Community Garden is in the small park on the right. 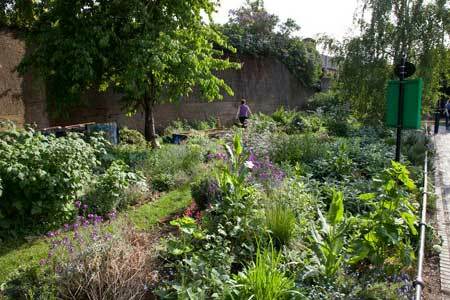 Bramford Community Garden is designed and managed as a model of sustainability. Run by Transition Town Wandsworth volunteers, it aims to provide wildlife benefit, incorporate productive elements and be beautiful, contributing to its setting within a public park and educating the community on environmental issues in gardening.